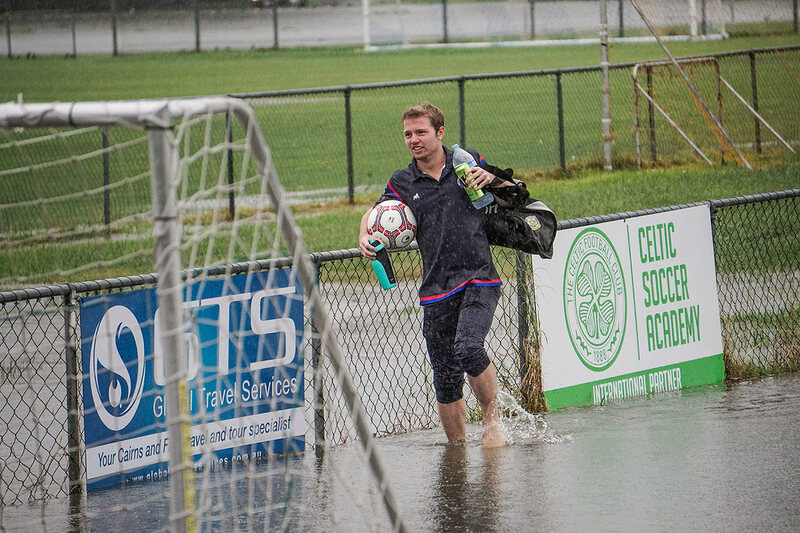 PHOTOS: It was supposed to be a day of luck, green drinks and Irish celebration but for the Nerang Soccer Club it was all downstream after a downpour of torrential rain flooded fields and carparks throughout Glennon Park last Sunday. 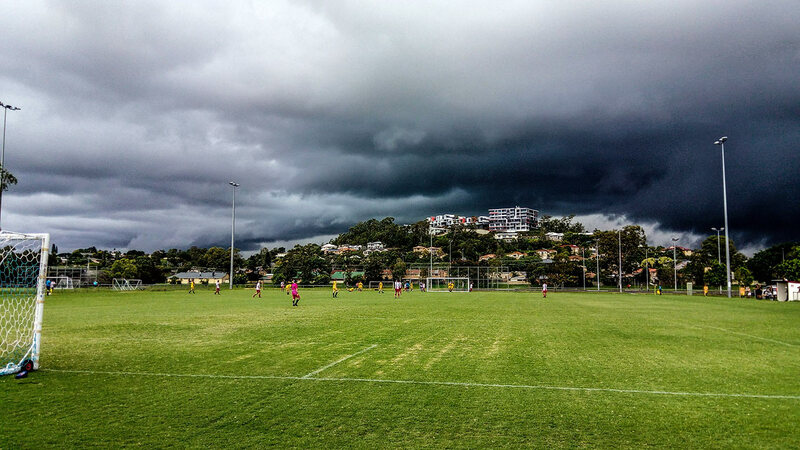 Despite the promise of a big day of action at the club for their Saint Patrick’s Day local derby against Mudgeeraba Soccer Club, as soon as the players took to the field the sky grew ominous with rumbles and flashes. 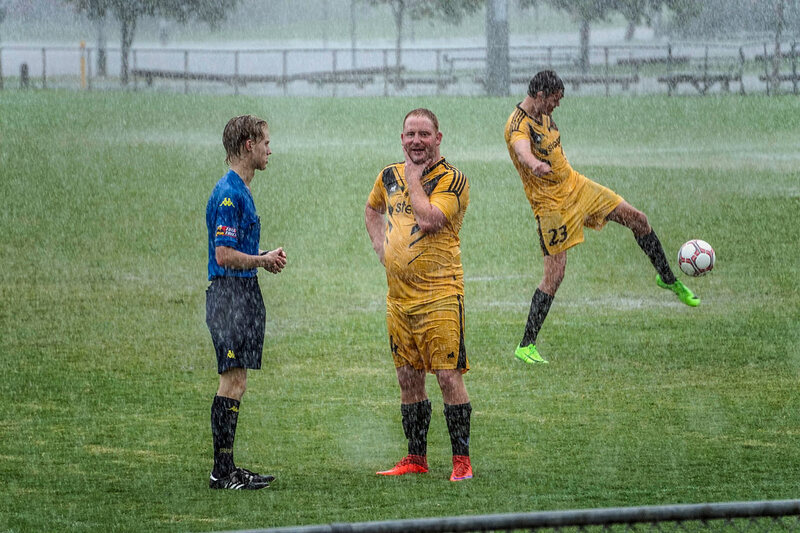 In the opening Reserves game it was shortly before half time when the players and officials left the field just as a trickle of rain, then more rain and then far more rain tumbled loudly from the heavens. 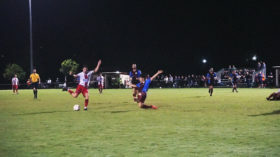 Moments before the mayhem, a pristine dry field had a robust game underway on it, with the visitors leading 1 – nil halfway through the first half. 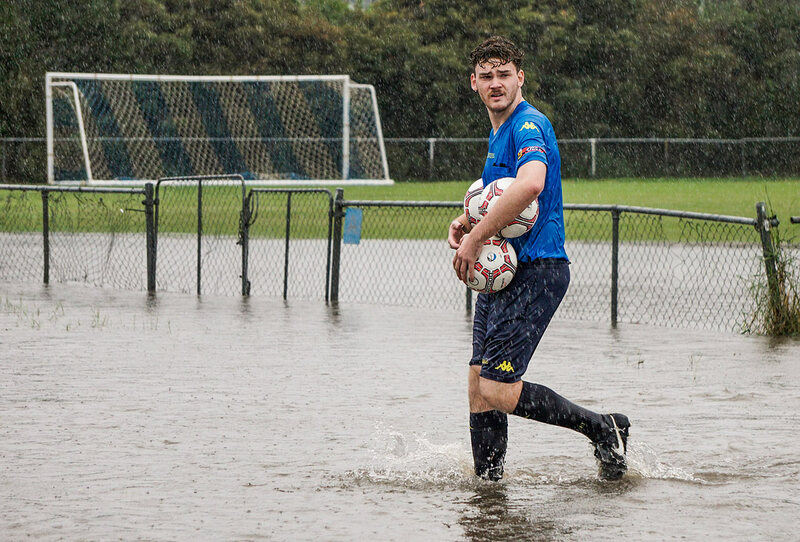 Within minutes from the first few drops the main field, which only moments ago was abuzz with the sights and sounds of a full-speed soccer game, was underwater with up to half a metre of runoff surging across the grass from the nearby creek. 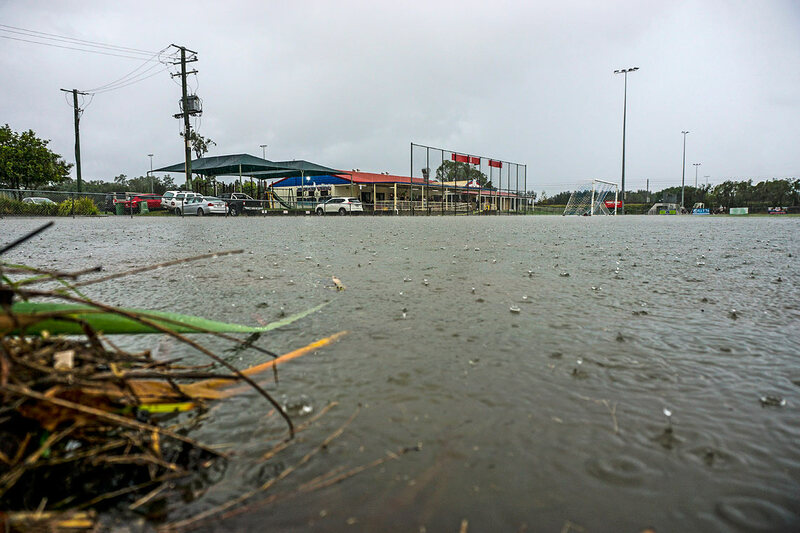 In the maelstrom and roar of the rain coming down, few noticed the western car park also sinking below the surface as water lapped at the doors of dozens of vehicles and the flash flood continued to rise from the nearby drainage creek. 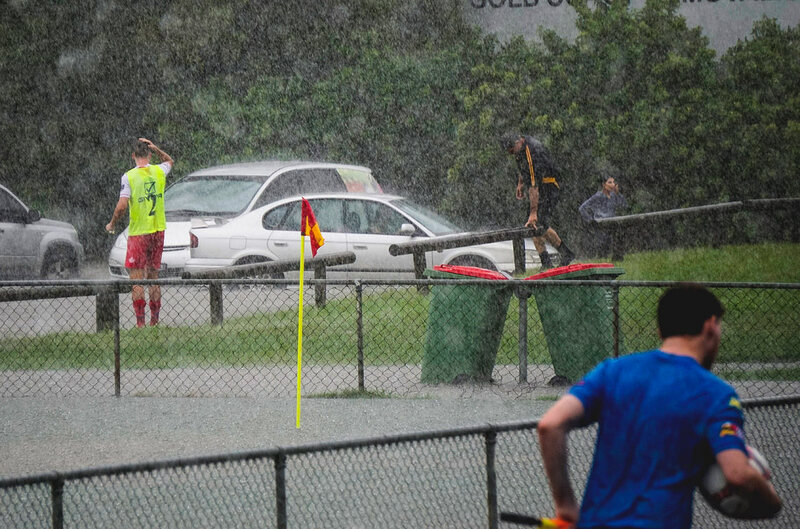 Full panic ensued as the club announced over the loudspeakers the impending carpark crisis. 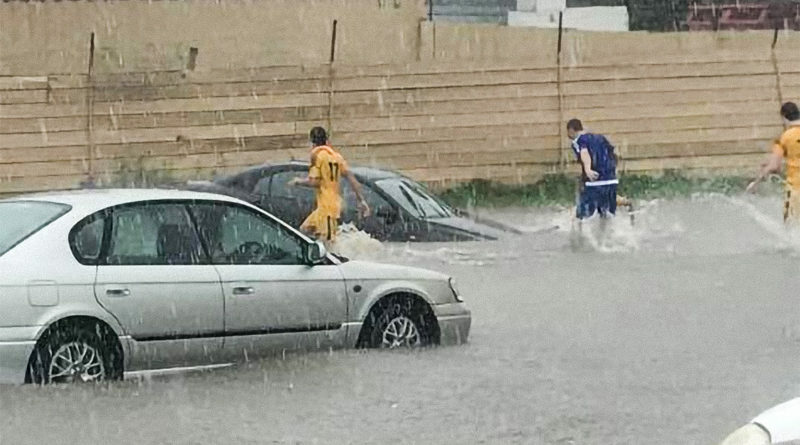 Spectators and players streamed into the belting rain and over to the car park attempting to save their cars and, whilst most succeeded and made a miraculous last-second dash for higher ground, several cars were trapped and inundated including our Premier League team captain Tolga Yorulmaz’s Holden ute. 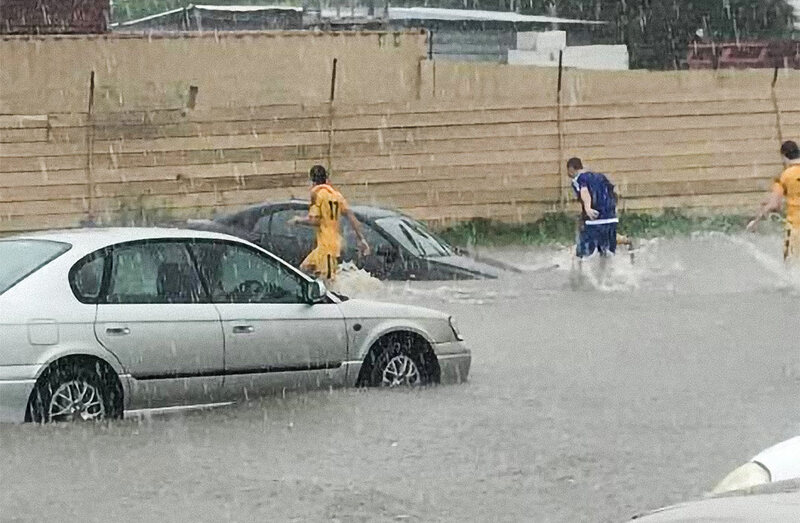 With Tolga franticly trying to get his car started, complete with failing electrics and submerged flooring, another not-so-lucky vehicle was spotted bobbing in the stream as it floated away behind the change rooms. 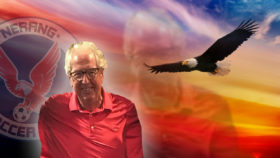 “I was just in here, I went inside the dressing room to turn the music on and I put that song on, ‘Rain Girl, Make It Rain’ you know because it’s funny and I came out here and they were saying, ‘oh, if your car’s over there you should move it’ and I had a look and there were people leaving but it didn’t look like that big of a deal,” said Tolga afterwards. 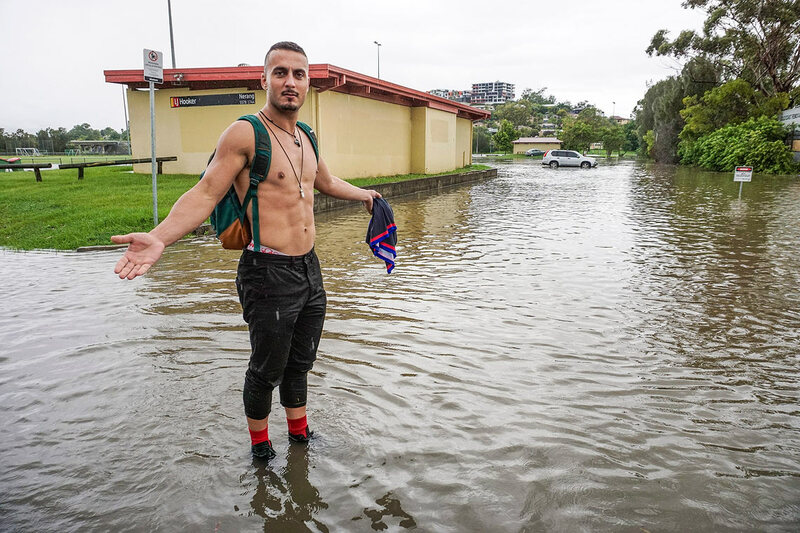 “The next time I looked up I realised cars couldn’t move so I started sprinting over – I got smashed by the rain,” he also said. 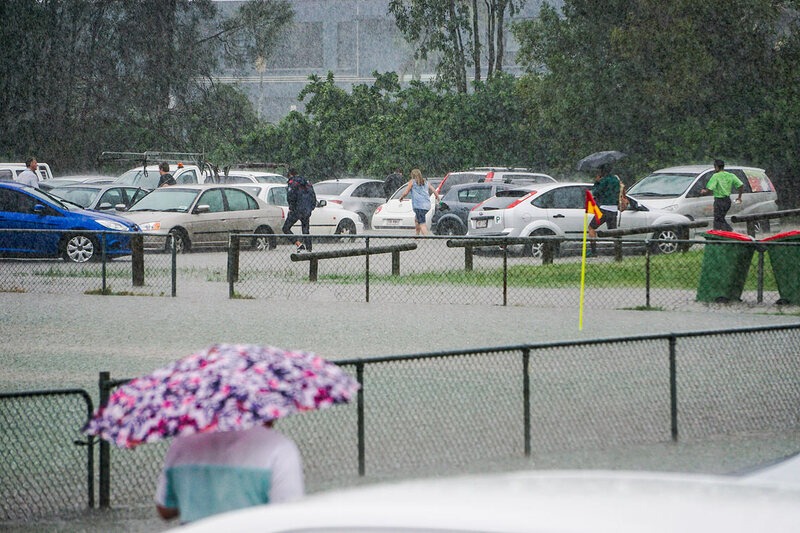 A seperate sea of Mudgeeraba players leapt from the away-team’s dressing room and into action, somehow managing to pilot the car back up onto the carpark flats, eventually floating it to the safety of higher ground. 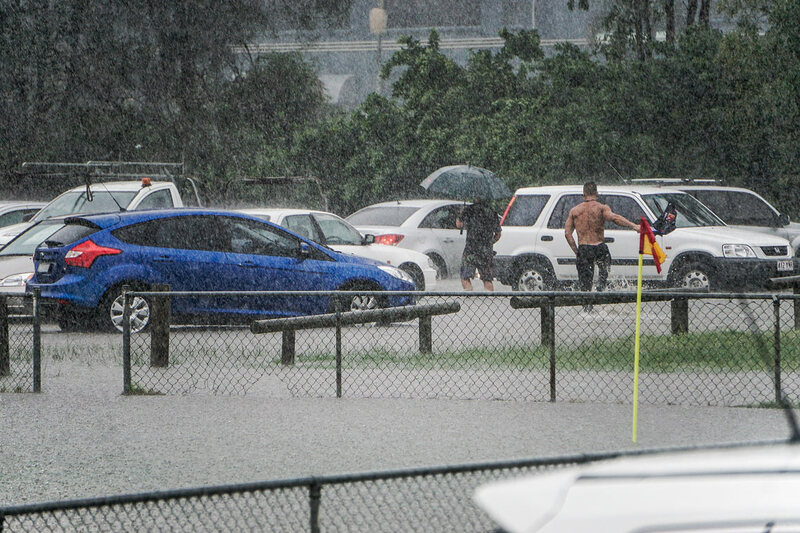 By the time a procession of cars had made their way delicately out from the disappearing car park lake, Football Gold Coast referees had justifiably called off the remaining football for the day, collecting up the balls and leaving the underwater field, abandoning the much-anticipated Premier League match of the day. 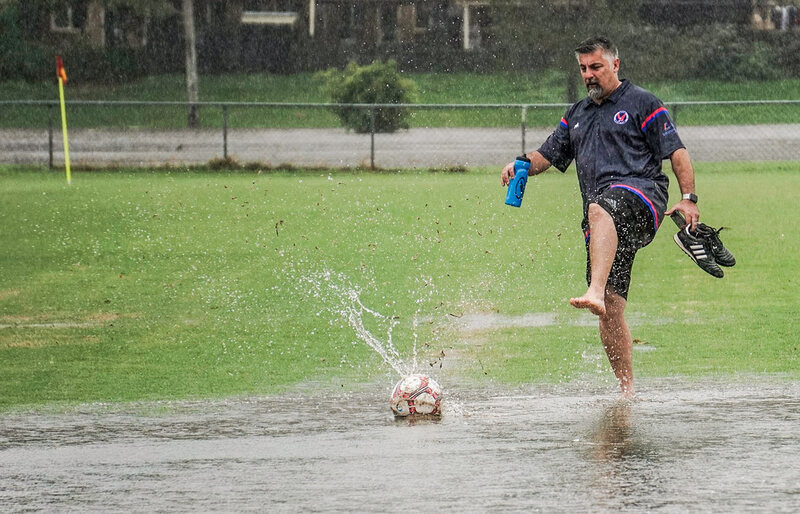 Nerang Premier League Coach Dave Benigno spent a few minutes in the drink himself packing up after the deluge, but was in good spirits despite the wash out. 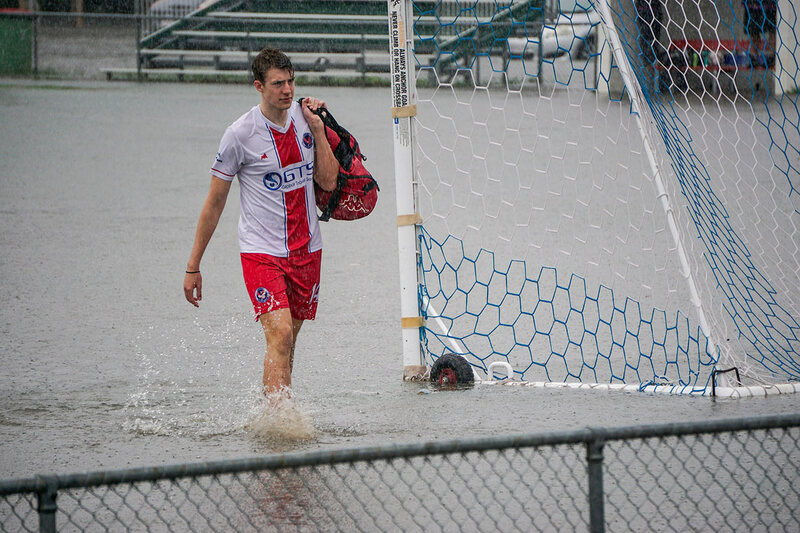 “I don’t know what to say, I’ve never seen it happen here ever like this. 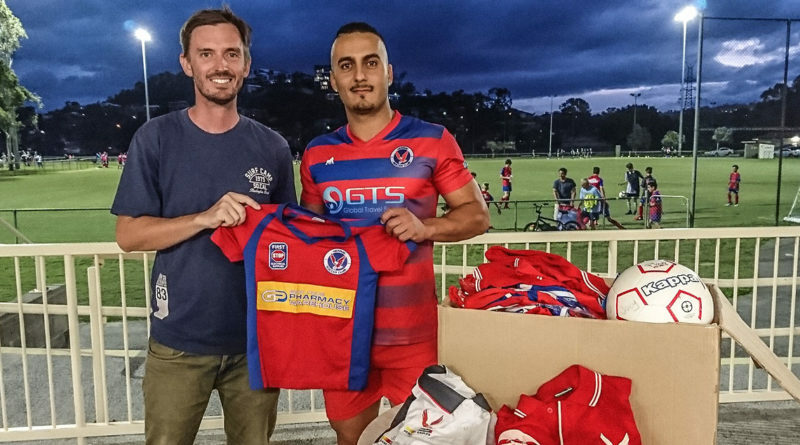 I’ve seen the Gold Coast Knights pitch go under, but not as quick as this today and to see one of the cars floating out the back today was quite impressive,” said Benigno. 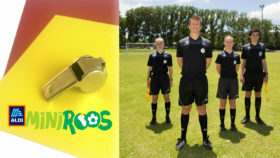 “I just spoke to Jamie (Boelen) and we had a chuckle – one minute we were right and the next it was no good,” he added. As quickly as it came it stopped, with fields slowly draining and the rainfall dissipating. Those trapped at the club joined with the remaining players and spectators to tuck in to a smorgasbord of slow-cooked Irish stew, home-made bread rolls, frosty beers and a few icy ‘limeonades’ to salvage the day – leaving little reason for olagonin’ given the fine company of friends sharing in the safety and warmth of a dry clubhouse, to be sure. 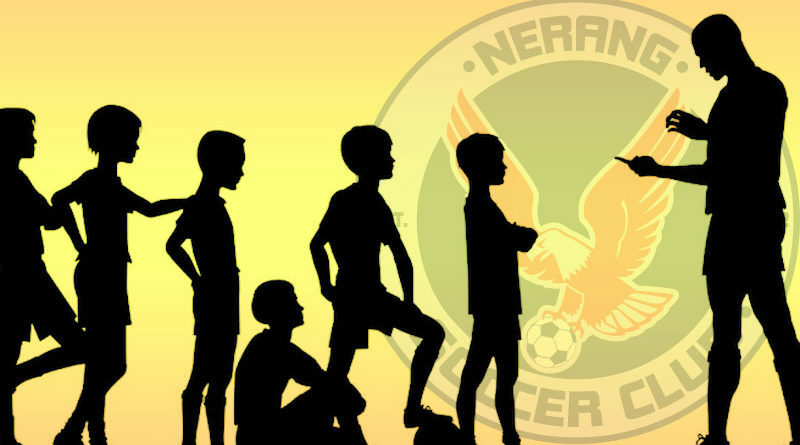 The Round 2 matches against Mudgeeraba have been rescheduled for the evening of Thursday the 18th of April, here at Glennon Park Nerang Soccer Club again. 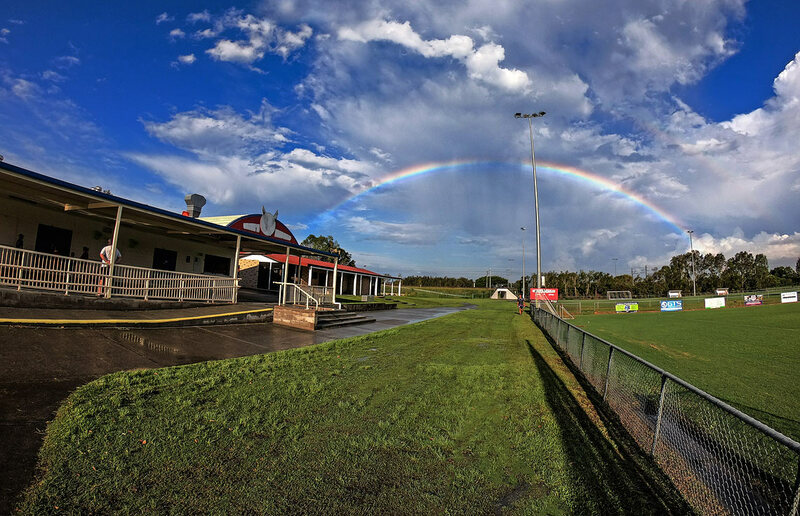 Reserves at 6:15pm and main game at 8:30pm. 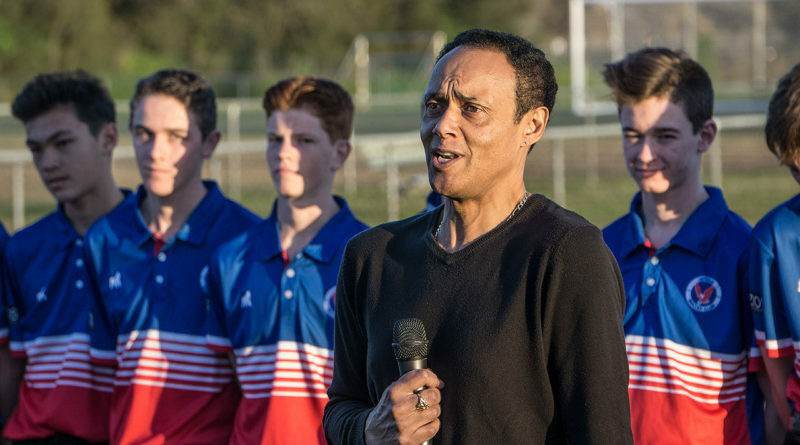 No pot of gold for the Eagles this time!